McAfee, the device-to-cloud cybersecurity company, announced the appointment of Sanjay Manohar as managing director, India. He will be responsible for building and leading teams to drive product revenues, increase adoption of cloud-based products and strengthen customer relationships. He will report directly to Craig Nielsen, vice president, APAC, McAfee. Prior to McAfee, Sanjay held roles as regional vice president - Asia Pacific Japan, Carrier Business at Akamai Technologies, and MD of the Greater China region spearheading a cross-functional team of over 100 employees across 5 offices. Sanjay has been associated with leading MNCs when the industry was at the cusp of cloud offerings for businesses. Online retail in the country that is growing at a faster pace, is expected to be $170 billion by FY30, growing at a CAGR of 23 per cent, according to a Jefferies report. Currently, the total online retail in the country is pegged at $18 billion. The online retail, which is currently around 25 per cent of total organised retail market in India, can potentially increase to around 37 per cent of the total organised retail market during this period, the report said. Currently, the total online retail in the country is pegged at $18 billion. Spends per online shoppers, which is estimated at Rs 12,800 is expected to increase to Rs 25,138 by FY30, with consumers shopping online for other segments, beyond electronics and apparel. It noted that electronics, including mobile phones, has grabbed the market share from physical retailers, largely due to heavy discounting and cash-back online in electronics. “Apparel and electronics have been present as categories in online retail space quite some time now in India, but online grocery is increasingly witnessing new consumers as companies such as Big Basket and Amazon Pantry are heavily advertising there discounting days, which takes place at the start of every month. We believe that new customers will continue to enter the online grocery, given low differentiation in grocery and convenience for consumers. However, penetration of online retail in grocery will continue to remain lower,” it said. Personal care, including make-up, too is gaining its market share online. Jefferies noted that increase in online penetration has been a function of both discounting and convenience, however, over the medium term, discounting in the system should rationalise and convenience will be the key driver. However, it observed that product quality remains a key concern for most of the consumers shopping online and there have been lot of instances in the country where consumers have got a counterfeit or a fake product, especially in categories such as perfumes and cosmetics. “Quality remains a key issue for consumers while shopping online. Though online retailers are taking steps to address this issue, it will take some time and hence some consumers will continue to stay away from online shopping, especially for big-ticket, branded items. The adoption of online retail should continue at a fast pace, as convenience seems even more important. Apart from quality, breach of data and data security are also key issues hampering adoption of online retailing,” it added. We would like to assure our members that the value of their JPMiles are secure and remain intact. With our air reward offering, “Select Flights”, members have the choice to redeem their JPMiles to fly free across more airlines, any destinations, any flights and any seats in India and globally, starting with the same JPMiles requirement as before which was applicable on Jet Airways and its partner airlines. As always, our members can also continue to use their JPMiles on hotel stays, fuel & 2500+ merchandise options on the JetPrivilege Reward Store. We consider it our foremost responsibility to safeguard the faith our members have placed in us and remain steadfast in protecting and creating more value for our members through JPMiles. We are constantly expanding our vast partner network to offer diverse JPMiles earning opportunities across 10+ categories to our members. Jet Privilege Pvt. Ltd. is a separate, independent entity, part of the Etihad Aviation Group formed with the sole purpose to market, develop and grow JetPrivilege – an internationally acclaimed award-winning loyalty and rewards programme. 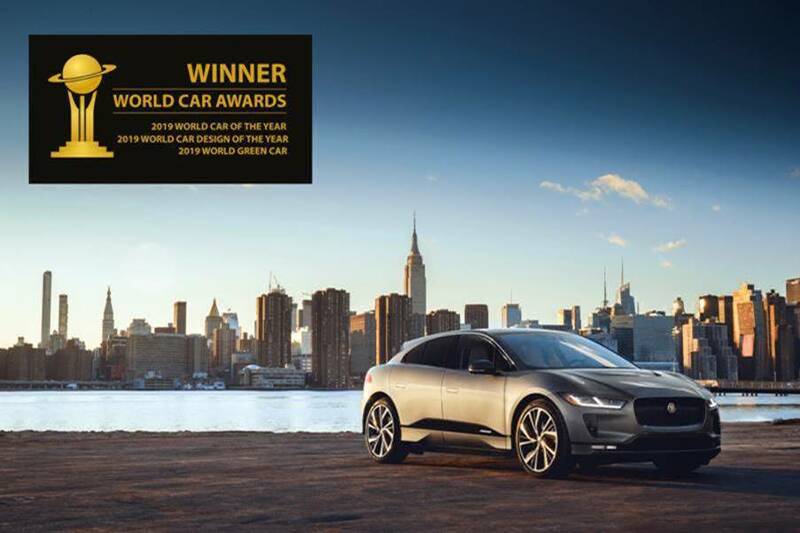 I-PACE is the first model ever to win three World Car titles in the 15-year history of the awards. This latest win for the I-PACE, awarded at the New York International Auto Show by a panel of 86 motoring journalists from 24 countries, comes just weeks after it claimed the European Car of Year title, and affirms its status as the most desirable premium electric vehicle (EV) in the world. Designed and developed in the UK, I-PACE is attracting new customers to the Jaguar brand, for many of whom it will also be their first EV – to date, over 11,000 customers in more than 60 countries worldwide have taken delivery. Its combination of sports car performance, zero emissions, exceptional refinement and true SUV practicality make I-PACE the stand-out choice in its segment. I-PACE has a state-of-the-art 90kWh lithium-ion battery and delivers a range of up to 292 miles (WLTP cycle). It’s capable of charging from 0-80% in just 40 minutes (100kW DC), or takes just over ten hours to achieve the same state of charge when using a domestic wallbox (7kW AC) - ideal for overnight home-charging. The I-PACE has received 62 awards since it was revealed little more than a year ago, including European Car of the Year, German, Norwegian and UK Car of the Year, BBC TopGear magazine EV of the Year, China Green Car of the Year, and Autobest’s ECOBEST Award. Mukesh Ambani-led Reliance Industries on Thursday posted the highest quarterly net profit by any Indian private sector firm with a 9.8% rise in earnings in the period ended March 31 after robust business in retail and telecom sectors offset a dip in oil refinery margins. 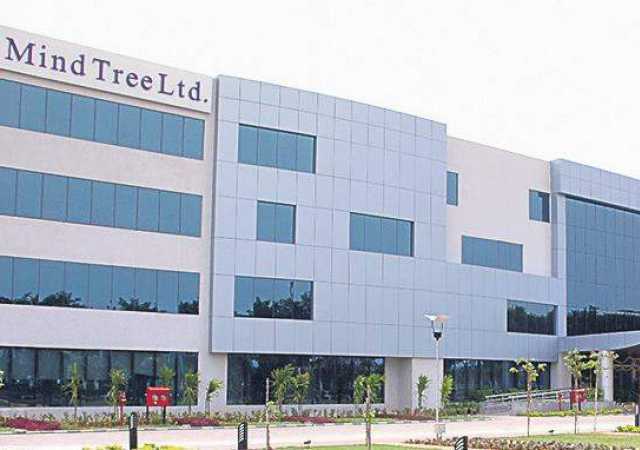 The oil-to-telecom conglomerate reported a 9.8% rise in its consolidated net profit at Rs 10,362 crore, or Rs 17.5 per share, in the fourth quarter ended March 31, 2019, as compared with Rs 9,438 crore, or Rs 15.9 a share, in the same period of the previous financial year, the company said in a statement. This is the highest quarterly profit by any Indian private sector company. State-owned Indian Oil Corp (IOC) holds the distinction of posting the highest ever quarterly profit by any Indian firm when it had reported a net profit of Rs 14,512.81 crore in January-March 2013 after it received the full-year fuel subsidy in just one quarter. 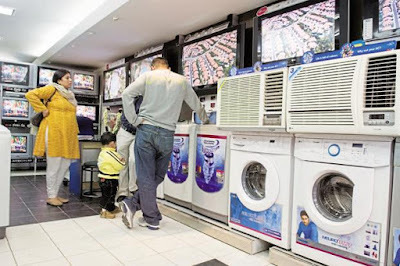 Reliance saw its revenue jump by 19.4% to Rs 154,110 crore in January-March 2019, even though they were 9.7% lower than Rs 170,709 crore revenue in the third quarter of the fiscal. The company opened more retail stores and added 26.6 million new subscribers to its Jio mobile phone service that helped increase the profitability of the venture as its traditional oil refining business witnessed margin pressures on fluctuating international oil prices. In full year 2018-19, the company posted a record Rs 39,588 crore net profit on a revenue of Rs 622,809 crore. “During FY 2018-19, we achieved several milestones and made significant strides in building Reliance of the future. 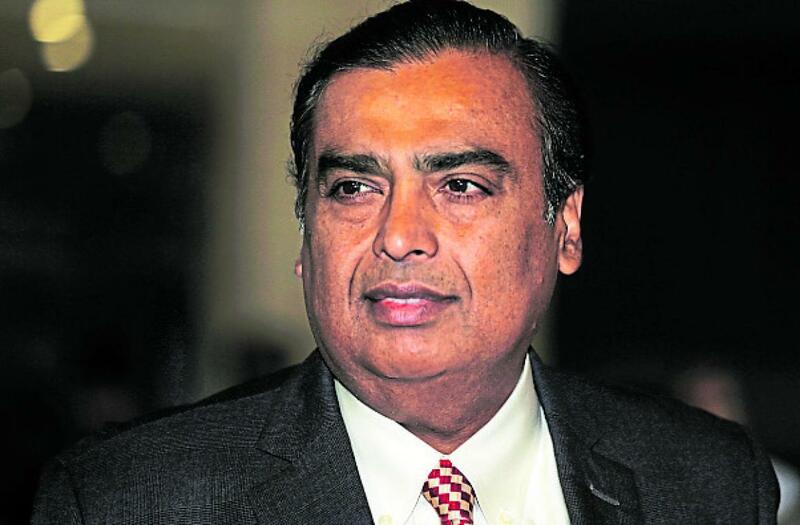 Reliance Retail crossed Rs 100,000 crore revenue milestone, Jio now serves over 300 million consumers and our petrochemicals business delivered its highest ever earnings,” Reliance Industries Chairman and Managing Director Mukesh Ambani said. The record profit for the year came in a period of heightened volatility in the energy markets, he said, adding pre-tax profit has more than doubled in the last five years to Rs 92,656 crore. “Focus on service and customer satisfaction led to higher numbers of subscribers and footfalls across our consumer businesses, driving robust revenue growth. Our endeavour is to create better experiences for our customers, leading to a better-shared future,” he added. Its retail business, which comprises 10,415 stores with 510 being added in Q4, saw pre-tax business profit jump 77.1% to record Rs 1,923 crore. “Reliance Retail is the only Indian retailer to be in the top 100 global retailers list and the 6th fastest growing retailer globally as per Deloitte’s Global Powers of Retailing 2019,” the statement said. Reliance Jio, the group’s telecom arm, posted a standalone net profit of Rs 840 crore, which was 65% more than the previous year, as subscriber base swelled to 306.7 million from 280.1 million at the end of the December quarter. The petrochemical business saw pre-tax profits jump by 24% to Rs 7,975 crore on higher prices. The operator of the world’s largest oil refining complex saw pre-tax earnings from the business decline for the fourth quarter in a row. Pre-tax earnings fell 25.5% to Rs 4,176 crore as margins dipped. It earned $8.2 on turning every barrel of crude oil into fuel as compared to a gross refining margin (GRM) of $11 per barrel in January-March 2018. G7 CR Technologies, a leading global information technology, consulting and cloud services company, has organized a full 2-day free workshop on Architecture and Design on PowerBI with Microsoft Azure Analysis services on 26th & 27th April 2019 at G7 CR office, Bangalore. This Two-day instructor-led Workshop provides delegates a clear and comprehensive explanation of the concepts and best techniques for deploying OLAP (Online analytical processing). 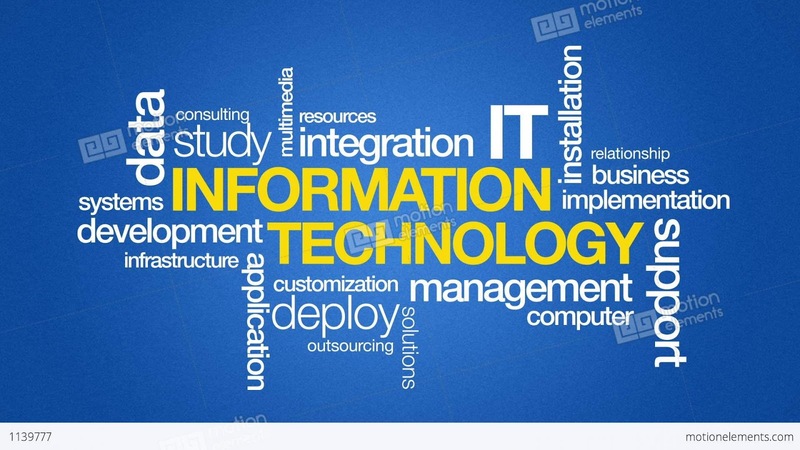 The workshop will offer IT professionals a thorough coverage of logical issues such as Design for Data Marts, dimensional hierarchies, as well as physical issues of data storage, access, and calculation. In addition, the session will provide many practical methods and formulae, along with a quick preview of Predictive analysis and Data Mining. Business Cases and Data Modelling Techniques. This course will be beneficial for Designers, Managers, and Owners of a BI System who need to get about the business of Analyzing their Information from the heaps of data. 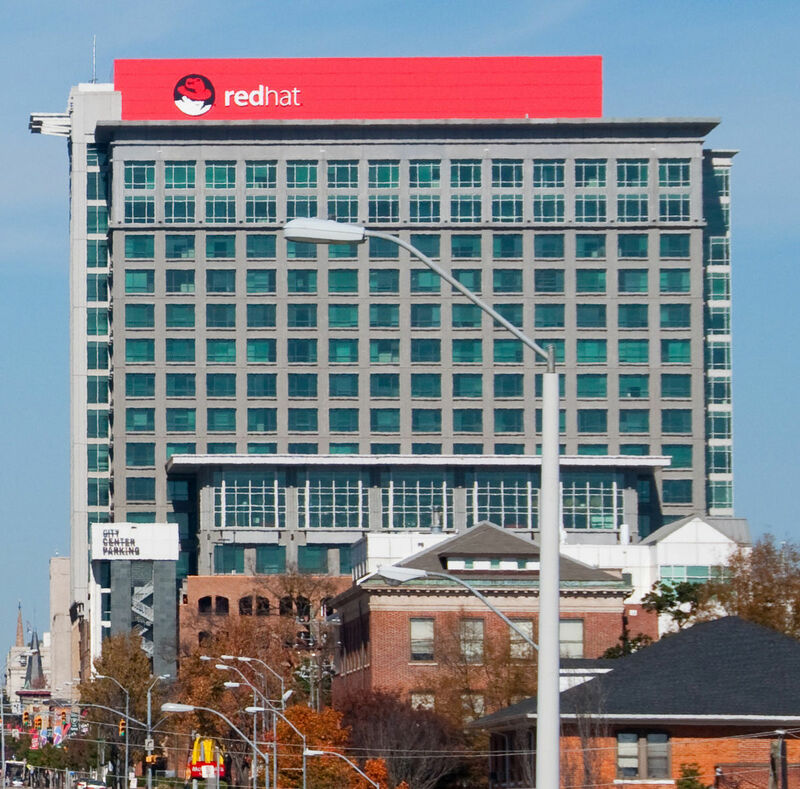 And it will be an advantage for those who are already familiar with working knowledge of SQL, experience with database design, understand Data Warehousing Concepts. Tenable, Inc., the Cyber Exposure company, has announced Predictive Prioritization is now generally available within Tenable.io - its cloud-based vulnerability management platform and a core component of the Tenable Cyber Exposure platform. 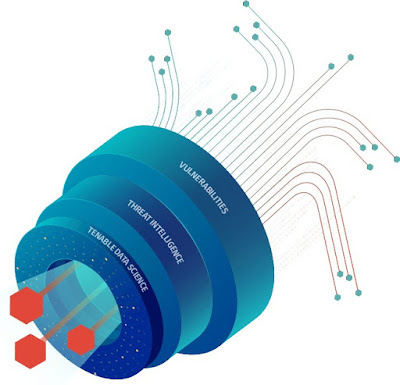 Predictive Prioritization is a ground-breaking innovation for solving the vulnerability prioritization problem, enabling organizations to dramatically improve their remediation efforts by focusing on the 3 percent of vulnerabilities that are most likely to be exploited. Attempting to prioritize vulnerabilities with CVSS (Common Vulnerability Scoring System) alone presents significant limitations. According to the National Vulnerability Database, there were 16,500 new vulnerabilities disclosed in 2018 alone, but only a small subset had a public exploit available and even fewer were actually leveraged by attackers. However, the majority of vulnerabilities scored through CVSS are rated 'high' or 'critical.' This creates an overload of high-priority vulnerabilities and one of the most difficult challenges organizations face today. Predictive Prioritization addresses this industry-wide problem by re-prioritizing vulnerabilities based on the probability they willbe leveraged in an attack. Tenable.io now automatically displays a Vulnerability Priority Rating (VPR) that indicates the remediation priority of each flaw, along with VPR Key Drivers, which provide enhanced context into how scores are calculated. Both features are dynamic and change with the threat landscape, arming security teams with actionable insight into their true level of business risk. "The release of Predictive Prioritization across Tenable's Cyber Exposure platform is the latest phase of our mission to redefine vulnerability management for the digital era. We're helping customers solve one of the most difficult challenges in the industry today," said Renaud Deraison, Co-Founder and Chief Technology Officer, Tenable. "Predictive Prioritization flips the advantage back to cyber defenders by telling them where they're exposed, to what extent and which vulnerabilities to focus on first. These are all critical components of an effective Cyber Exposure strategy." This latest release follows the general availability of Predictive Prioritization in Tenable.sc (formerly SecurityCenter), making Tenable's Cyber Exposure platform the only one to provide predictive capabilities for on-premises and cloud deployments. Qlik has announced that the company is expecting a record number of attendees to be on hand for Qonnections 2019, May 13-16 at the Gaylord Texan Resort and Convention Center in Dallas, TX. The conference brings together Qlik customers, partners, influencers and data enthusiasts to help users learn and better capitalize on how to use data to innovate and transform their organizations. Qonnections 2019 focuses on providing customers and partners with the knowledge and best practices they need to lead with data, through Qlik’s end-to-end platform that blends data management and analytics to address the entire data supply chain. CEO Mike Capone will share Qlik’s strategic vision and roadmap, showcasing how Qlik is helping customers tackle their most difficult data challenges while driving the 3rd generation of BI and analytics. Additional keynote presentations will showcase how Qlik customers are transforming with a holistic and unified, strategic approach to data and analytics through Qlik. These customers are empowering users to transform the whole organization, going from raw data to democratized insights with Qlik. Special focus will be given to how various unique aspects of Qlik’s portfolio are enabling these transformations, including: multi-cloud, self-service for data, how big data is just data, accelerating insights through augmented intelligence, and the ability to capture insights from any part of the organization. Qlik Sense®, QlikView® and Qlik Data Catalyst® trainings and certification exams will also be offered. Lindsey Vonn, Olympic gold medalist, world-record World Cup ski winner, author and LV Foundation founder will be giving a fireside chat discussing how passion helped her overcome challenges and shaped her approach to leadership. Data Literacy experts Alan Schwarz, Ben Jones and others will join Qlik Global Head of Data Literacy Jordan Morrow in a roundtable on the importance of data literacy, how far the movement has come since the launch of the Data Literacy Project and what leading organizations need to do to make sure they correctly empower their workforce with the data skills necessary to lead. 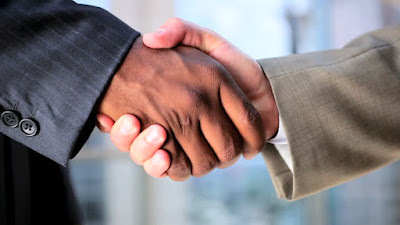 Customer and partner presenters will appear from companies like Genuine Parts, Lenovo, Humana, Nemours and Amerigas. The complete list can be viewed at the following link: https://www.qlikqonnections.com/sessions/2019-sessions/. The Qonnections Data Discovery Zone will feature more than 35 sponsoring partners and exhibitors that will showcase their value-add solutions and services for Qlik products. Diamond sponsors include Accenture, Cognizant and SDG Group. Qlik Hack Challenge. A highly anticipated annual event, this hackathon uncovers the very best app building skills and development talent using Qlik APIs, Qlik Core and code. This year we’re calling on developers to participate in the “There is no Planet B” challenge, where data will be provided by Qlik corporate responsibility partner the United Nations (UN) and the UN Framework Convention on Climate Change (UNFCCC). Qlik and the UN challenge the community to create a solution to reduce travel-related carbon dioxide emissions. Every hackathon participant will have access to Qlik Branch®, a collaborative developer workspace and community, and support from internal Qlik experts moderating the event. Qlik Late Night Lunacy. At the Late Night Lunacy event, teams consisting of Qlik Sense and QlikView insight experts will also participate in the “There is no Planet B” challenge. For the first time, these teams will also build their world-changing solutions prior to Qonnections. At the event, teams will be able to improve their applications, ask the experts for advice and then present their solution for reduced travel-related carbon dioxide emissions. 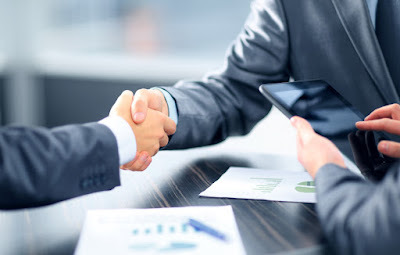 J.Sagar Associates (JSA) advised Conneqt Business Solutions Limited (Acquirer) along with Quess Corp Limited (PAC) in its acquisition of a controlling stake in Allsec Technologies Limited from Mr. Ramamoorthy Jagadish and Mr. Adiseshan Saravanan (Promoters) and First Carlyle Ventures Mauritius (Carlyle). The transaction is valued at approximately Rs. 271 crores and will be followed by an open offer for an additional 26 pc stake in Allsec. Allsec is an Indian company with subsidiaries in USA and Philippines which provides business process solutions across various industry verticals. The Acquirer will buy majority of the Promoters shares and Carlyle's shares followed by a mandatory open offer for 26 per cent shares. JSA team comprised Partners – Vikram Raghani, Raj Ramachandran and Anand Lakra; Principal Associate – Rakki K; Senior Associates – Sindhu Nayak and Abhilash Chandran, Associates - Ami Shah and Khamir Kamdar. If the prolonged slowdown in the residential was not bad enough to begin with, major policy overhauls over the last five years – DeMo, RERA, GST, amendments in the Benami Transactions Act etc. – literally paralysed the residential segment. The demand for high-quality office spaces in India has never been higher. The residential sector, on the other hand, continues to struggle with problems that the commercial segment does not share. Moreover, high-quality office space developers largely deal with prosperous multi-nationals who, apart from having deep pockets, have zero tolerance for opacity. They are also very exacting in their requirements, which naturally leads to the highest-possible product quality. Residential developers are engaged in a B2C business largely defined by customers looking for the lowest possible prices. While reputed developers do ensure product quality regardless of their customers’ budget bandwidth, the bulk of Indian builders cut corners wherever possible to keep their projects affordable. Another advantage that the commercial property sector enjoys is that office properties are primarily leased out rather than sold, which leaves far less scope for dodgy activities. The residential sector is primarily driven by sales. Compared to the lease yields for office spaces at 12-14% per annum, rental yields for housing are negligible 2.5-3.5% per annum in a best-case scenario. The funding crunch that has crippled the residential sector has not seriously impacted the office sector. In fact, India’s first REIT listing and those to follow have opened up massive potential for increased liquidity infusions into Indian office spaces. Commercial real estate also remains largely unaffected by the dynamics that affect the residential segment, such as interest rate fluctuation, income tax breaks and even election sentiment. While residential developers have had to curtail their supply pipeline to avoid exacerbating the already massive unsold housing inventory situation, REITs and the rapidly decreasing vacancy levels in Grade A office projects have prompted commercial real estate developers to increase their supply pipeline. In the face of all this evidence, the commercial versus residential equation would appear to be a no-brainer. However, as in most matters related to real estate, it is not as simple as that. In many ways, it like trying to compare apples and oranges using the same yardstick. Commercial real estate is driven by leasing because this is a far more beneficial model for developers than selling them. High rental yields do not imply high sale value, because the demand for leased office spaces is much higher than for outright ownership of the same properties. If a commercial space developer opts for outright sale, his top-line increases immediately. By leasing out the project instead, he can look forward to a very attractive bottom-line because of steadily increasing rental yields over the years. Also, with REITs now a reality, developers can follow a predictable exit mechanism once the project is ready and operational, providing maximum returns on investment. As per ANAROCK data, office rentals remained steady in 2018, with a marginal rise of 3% over the previous year. More importantly, however, the average vacancy levels reduced from 15.4% in 2016 to nearly 14.47% in 2018. Not surprisingly, vacancy was the least in Bangalore with mere 3.4% in 2018. 2019 will continue to see commercial real estate supply gain momentum on the back of vastly increased interest from PE players who are actively pumping in funds into this segment. As per ANAROCK data, the commercial segment saw a total PE inflow of nearly USD 2.8 bn in 2018, up from USD 2.20 bn in 2017. In fact, if we analyse PE trends over the last few years, the commercial segment saw total PE inflows of nearly USD 7.4 bn between 2015 and 2018. In the same period, the residential sector drew just USD 2.9 bn. This clearly reflects the interest of PE players – both global and domestic. The major differences between commercial and residential real estate in terms of performance – and indeed as investment asset classes - are quite apparent. Certainly, private equity investors are quite certain of which segment they are more comfortable with in the current Indian market scenario. Will residential regain its numero uno position on the Indian real estate bestseller list in the future? If it does, there is certainly a long way to go before it happens. More so, it cannot happen on the basis of end-user sales alone – it can only happen if and when investors, both individual and institutional, become sufficiently interested in the Indian housing story once again. Companies globally could incur US$5.2 trillion in additional costs and lost revenue over the next five years due to cyberattacks, as dependency on complex internet-enabled business models outpaces the ability to introduce adequate safeguards that protect critical assets, according to a new report from Accenture. Based on a survey of more than 1,700 CEOs and other C-suite executives around the globe including 100 respondents from large enterprises in India, the report —Securing the Digital Economy: Reinventing the Internet for Trust — explores the complexities of the internet-related challenges facing business and outlines imperatives for the CEO’s evolving role in technology, business architecture and governance. Among the key findings: 77 percent Indian respondents believe that the advancement of the digital economy will be severely hindered unless there is dramatic improvement to internet security, and more than half (59 percent) of respondents said they are concerned that the internet is getting increasingly unstable from a cybersecurity standpoint and they are unsure how to react. The rapid emergence of new technologies is creating additional challenges, 82 percent of Indian respondents admit that their organization is adopting new and emerging technologies faster than they can address related cybersecurity issues, with two-thirds (68 percent) noting that cybersecurity issues have escaped their control due to new technologies such as the internet of things (IoT) and the industrial internet of things (IIoT). A majority (81 percent) also said protecting their companies from weaknesses in third parties is increasingly difficult, which isn’t surprising given the complexity of today’s sprawling internet ecosystems. Also, on the minds of many senior executives: consumer data protection. Fueled by security concerns, 70 percent of respondents believe that consumers can’t trust the safety of their online identities when too much of their personal data is already available without restrictions. Governance: Join Forces with Other Companies and Govern Globally – Step up efforts to collaborate with other top executives, government leaders and regulators to better understand how to prevent new cyberattacks. Business Architecture: Connect and Protect with a Model Run on Digital Trust – Become brilliant at the basics of cybersecurity. 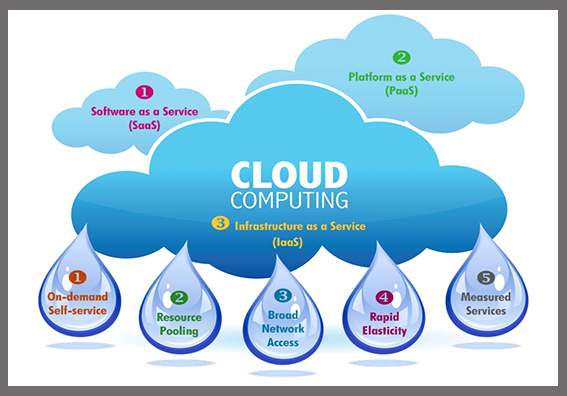 Fully protect business across the entire ecosystem of partners and supply chains. Technology: Advance Businesses and Enhance Safety – Embrace new technologies, master IoT security, and prepare for the quantum challenge. Ensure that software security and update functions are embedded into mobile and IoT devices from initial design. New market research1 shows that lifestyle-related hyperacidity is a growing concern for consumers. In fact, 61 per cent of the population in urban India suffers from hyperacidity at some point in time. Abbott’s Digene, one of the key antacid brands in the country, is a scientifically proven solution to hyperacidity for modern-day hectic lifestyles. While hyperacidity has traditionally been associated by consumers with life-stage or body type, new market research2 shows that consumers believe hyperacidity is increasingly rooted in the lifestyle they lead. Due to the pressures of urban life, consumers report consumption of more culprit foods than ever, erratic eating habits and an increase in stress and tension. And data from one study3 found that nearly 70 per cent of acid reflux patients were aged below 50 years. This indicates that hyperacidity and related conditions are increasingly being driven by lifestyle factors and are thus more prevalent among younger populations. Digene is uniquely suited to address this growing problem. The product has been available in India for nearly 90 years, and is the #1 prescribed antacid among doctors4. Moreover, its efficacy is rooted in science. Digene has what is called high acid neutralizing capacity (ANC)5, which means it is very effective at reducing the acid in a person’s stomach to give them relief. Moreover, Digene is the only antacid in India that is available in three formats, liquid, powder and tablet. It is easy to consume both at home and on the go. In order to meet the underlying need and reach a broader audience, Digene has launched a new campaign focusing on providing a scientific solution to lifestyle-related hyperacidity, with the versatile Tapsee Pannu who talks about the issues related to life-style related hyperacidity. She represents the challenges and problems faced by modern day consumers. Abbott is a global healthcare leader that helps people live more fully at all stages of life. Our portfolio of life-changing technologies spans the spectrum of healthcare, with leading businesses and products in diagnostics, medical devices, nutritionals and branded generic medicines. Our 103,000 colleagues serve people in more than 160 countries. In India, Abbott was established in 1910, and is one of the country's oldest and most admired healthcare companies. With over 12,000 employees in the country, Abbott in India is helping to meet the healthcare needs of consumers, patients and doctors throughout urban and rural India. In order to improve user-experience, researchers at IBM India are using artificial intelligence (AI) to make chatbots more emphatic and personalised so that they can meet a client's specific needs and provide business value at a much higher scale. According to an estimate, chatbots are predicted to tackle a massive 85 per cent of customer service interactions by 2020. India is a key player in the chatbot market today where such services have been introduced by many banking and insurance companies, said Gargi B Dasgupta, director, IBM Research-India and CTO, IBM India/South Asia. Banks and insurance providers, she explained, were the early adopters of chatbots in the country, helping customers for bill payments, mobile recharges, booking travel, so on and so forth. However, when it comes to making people feel comfortable, AI has a lot to learn, Dasgupta noted. A lot of available systems make building the first chatbot easy, but do not scale-up when you increase the scope of the chatbot or need to build several hundred more, she said. This, she said, is because of two main factors: overt dependence on the manual effort for creating chatbots which makes them both time consuming and brittle, and lack of an end-to-end fall-back plan with continuous learning and improvement. 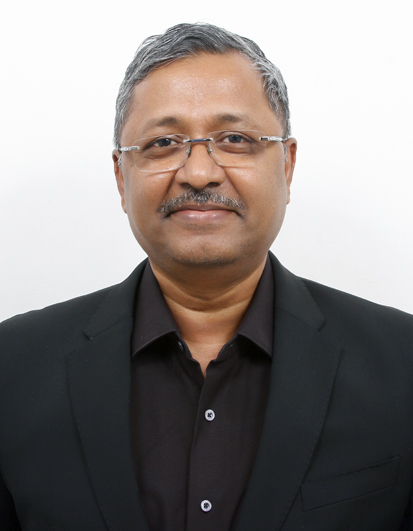 “We at IBM Research are working towards training these applications with data by infusing AI and related technologies to help organisations get business value at a much higher scale,” Dasgupta said. The tech giant's IBM Watson Assistant can be trained to represent a company's specific brand voice and values using that firm's customer and business data. "Conversational agents are going to be a primary way people communicate and the AI that powers it needs to be very strong," Dasgupta said. "We work with several enterprise customers to enable their conversation agents to be more usable and affordable," she said. Further, many are looking at offering more services like register a claim, get a quote and help customers understand their various policies better. “Conversation is the most natural way for humans to interact with an AI system and the predictions are by 2024 this will be double-digit billion markets," said Sachindra Joshi, Manager — Conversational Platforms, IBM Research-India. "Since human conversation is complex, contains forth and back references, is contextual, it poses a very interesting research problem to solve," Joshi told said. "We have built chatbots using the research technologies for multiple external and internal clients. They have been running successfully now for 1-2 years," he said. “These inputs are extremely valuable to build a chatbot. 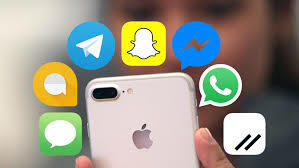 They reduce the manual effort and the initial build time as well as provide concrete ways to continuously improve the chatbot as it is being used,” Dasgupta said. “We have focused on continuous learning of conversation agents, scalable bootstrapping from documents and logs and innovative and expressive ways of dialogue design,” she said. “As these technologies mature, users of chatbots will see an improved experience with the bot being able to learn from past conversations and get more effective,” she said. "This should increase the proportion of successful conversations. Also bot designers will be able to use our tools to create conversation agents faster and make them more effective,” she said. "We have also developed deep learning techniques that help in creating chatbots in a data driven manner and have brought down the initial build time of chatbots from several weeks to only a few days," noted Joshi. 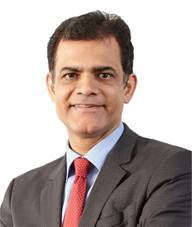 Sabre Corporation, the leading technology provider to the global travel industry, has appointed Jaya Kumar K as Vice President & Managing Director, for Sabre Global Development Center in Bangalore, reaffirming its commitment to transforming the future of travel and strengthening Sabre’s presence in India. “As we continue to push the boundaries of technological innovation at all levels of the travel industry, we are pleased to have Jaya join the team to drive our development strategy forward, and ultimately, enable us to better serve our clients. 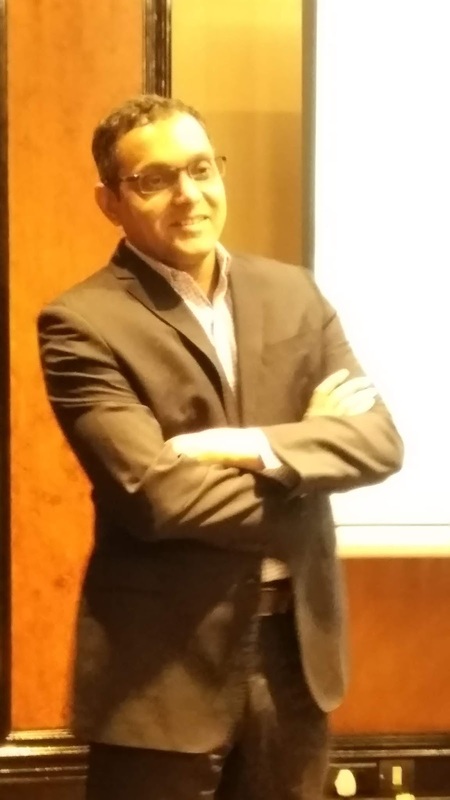 The Global Development Centre in Bangalore is essential to our success, and I am delighted to have Jaya on board to spearhead Sabre’s efforts in driving the industry toward next generation retailing, distribution and fulfilment,” said Louis Selincourt, Senior Vice President, Sabre Global Development Center Operations. Established in 2005, the Global Development Center in Bangalore has been driving innovation for Sabre’s global customer base of over 425,000 travel agents, 350 airline partners, and 40,000 hotel properties. The team supports multiple technology functions, including product development, enterprise data and analytics and operations research efforts, while providing customer care and support, implementation and consulting services, and delivering leading products and solutions to Sabre customers globally. 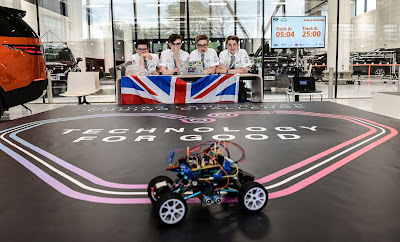 The talented teenagers competing in this year’s Land Rover 4x4 In Schools Technology Challenge world finals - a global education enrichment initiative aimed at encouraging young people to take up STEM careers - were able to write 200 lines of code in just 30 minutes, to successfully navigate a scale model Range Rover Evoque around a 5.7-metre circuit. The Land Rover 4x4 in Schools programme has helped the company reach more than four million young people since 2000. 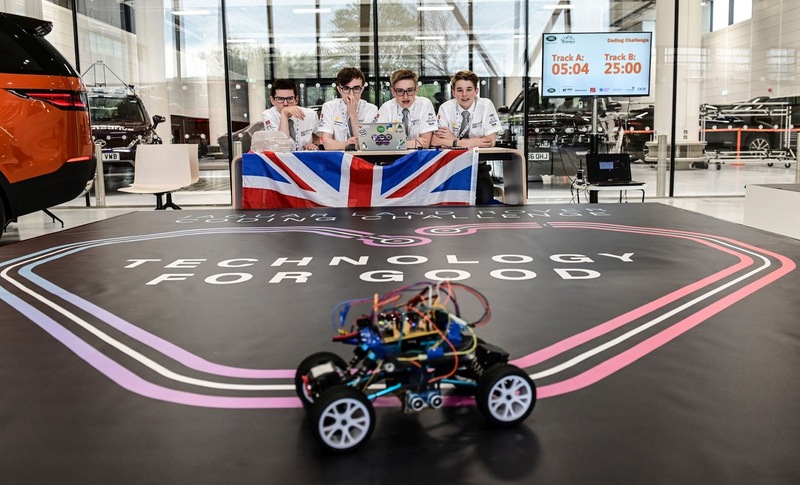 This year 110 students from 14 countries qualified for the world finals held at the University of Warwick, with NewGen Motors team from Greece lifting the trophy following two intensive days of competition.